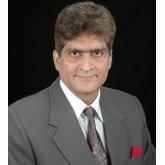 Dr. Rajeev Prakash Mehra is a Reiki Grand Master and Gold Medalist in BioEnergy and is passionate about helping their clients in maintaining mental and physical health in all possible ways. He can personalize and modify these services as per the special requirements and nature of their client’s problems. His biotherapy is capable of identifying and arresting the spread of Aids and Cancer and in the treatment of various fatal disorders. 5. By AVP Media - International Leadership Quality and Lifestyle, 2018.India's Most Trusted Center for Diagnosis & Repairing on the Autoimmune, Genetic &Telomere levels. "Best Reiki Expert you can go to. He is very nice. His team is very supportive :-)"